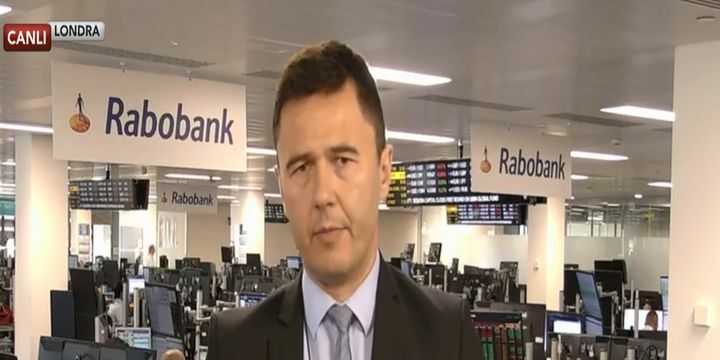 Turkey may see speculative inflows to its bond and stock markets after President Recep Tayyip Erdogan and his ruling party won presidential and parliamentary elections on Sunday, according to Piotr Matys, emerging markets currency strategist at Rabobank. The lira is cheap and at attractive levels against major currencies, Matys said in an interview with BloombergHT, the Turkish franchise of Bloomberg Television. For more sustainable, long-term investments, structural reforms will carry critical importance, Matys said. Investors will need to see government conviction, as well as the central bank’s own commitment to tight monetary policy and intervening with rate hikes if needed, he said. Erdogan won the presidential elections with 52.5 percent support, beating his nearest challenger by more than 20 points. Many analysts and pollsters had expected a run-off with Muharrem Ince, who had represented the main opposition party. The president’s Justice and Development Party (AKP) are expected to control the legislature with the far-right Nationalist Action Party (MHP). Turkey has been suffering from a crisis of confidence this year. The central bank wracked investor nerves in April and May after it failed to intervene swiftly to stem losses for the lira. It was finally forced to act with 425 basis points of rate hikes in late May and early June, raising its benchmark to 17.75 percent, after Erdogan told investors in London that he would lower rates should he win Sunday’s vote. Some investors have bought lira assets concluding that the elections have reduced political uncertainty, Matys said. Investors now want to see the economy cooling a bit and the central bank taking control of inflation, he said. Should that happen, short-term inflows will start returning, he said. Inflation accelerated to 12.2 percent in May and is expected to increase further as the lira’s declines raise the price of imported goods. The lira rose 0.9 percent to 4.64 per dollar at 3 p.m. in Istanbul on Tuesday, off the record low of 4.92 set in May.